Welcome to this today's shopping post, my friends! Every week, I choose a different retailer and highlight a short list of my current favorites from their furniture and home decor collections. 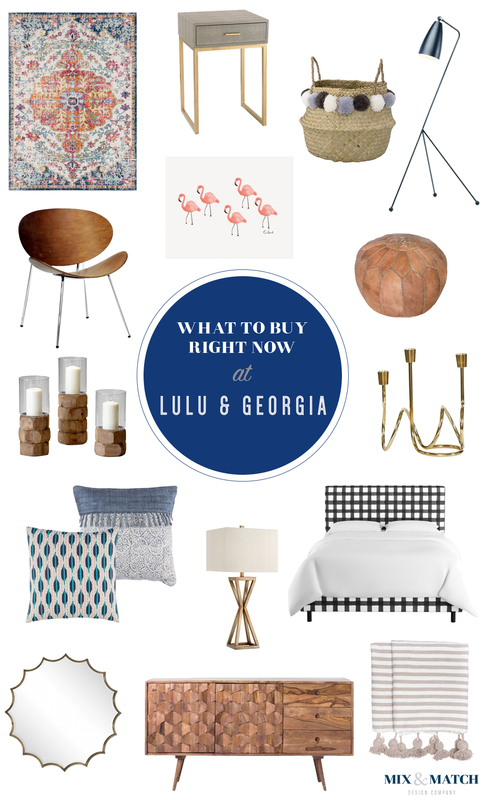 Today I'm introducing Lulu & Georgia - a great resource to shop for pieces for every room in your house! AND, they're having a 25% off sale right now to celebrate their birthday. Use code "HBD" to save! Like this post? Click here to see the rest of the series! One thing I really like about Lulu & Georgia is that their site is both well-curated, and has a wide selection of price points and styles. Some of their items are on the higher end in terms of price, but you can definitely find a great selection of more budget-friendly pieces too. Everything they carry is on-trend and they've done a really nice job pulling together items from boutique-sized brands all the way up to the big manufacturers. 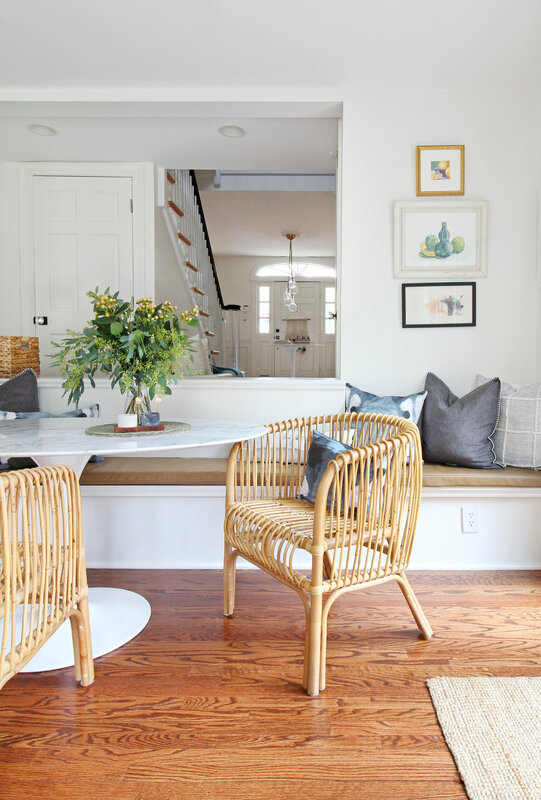 If you need some guidance on pulling a look together for your own home, be sure to scroll down to the guides and articles they have on their home page. 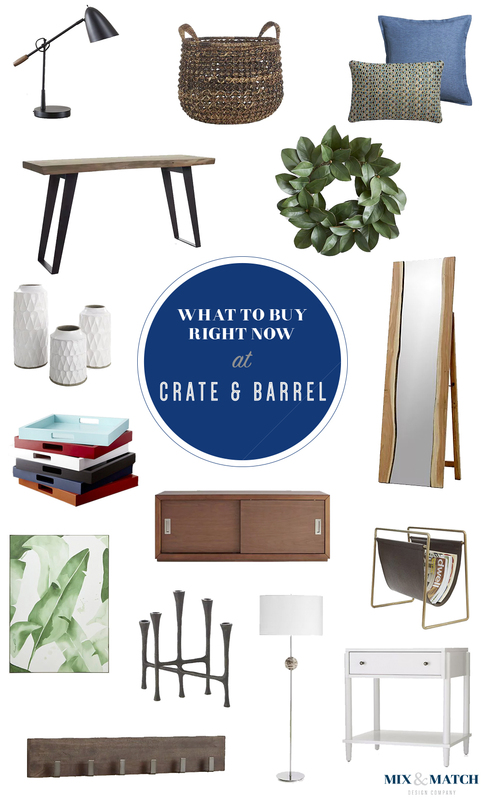 You can shop pieces from homes they've styled, see designers' picks, and see what's trending. It's a fantastic resource! I'm going to keep today's post short and sweet for today, but if I had to pick just three items to add to my own home from my list today, I'd have to choose the Mid-Century Modern Sideboard, the Buffalo Check Upholstered Bed, and the Round Wall Mirror. What would you choose? You can use the links above to check out the products, and you can also shop using the embedded shoppable widget below. Simply hover over the item you're interested in (or tap an item with your finger if you're on a mobile device) and click on the black and white plus sign that pops up. If you're on a feed reader or receiving this in your email, you'll need to click over to the full website to use this tool. *This post contains affiliate links, which means Mix & Match earns a small commission from your purchase at no cost to you. Happy Friday y'all, and welcome to this today's shopping post! Every week, I choose a different retailer and highlight a short list of my current favorite products. Shopping for your home can be totally overwhelming, so I hope that these curated roundups are helpful in finding the right furniture and decor for your space! My goal is to introduce you to the retailer's style and point you in the right direction so that when you are shopping, you already have a good idea of what kinds of items that store carries. Like this post? Find more of the series here! I think of C&B as mid-range in terms of cost and quality - their furniture tends to be on the more expensive side in general (there are deals to be found though), but their decor and accessories are typically fairly budget-friendly. I know "budget-friendly" means different things to different people, but I think most would agree on that here! Crate & Barrel's style falls into the category of "fresh classic." Their pieces tend to have a timeless feel, yet are still on-trend without being trendy - if you know what I mean. That's a pretty impressive thing to be able to pull off! Because of that, C&B has a wide appeal and their furniture/decor fits in seamlessly with a lot of styles including farmhouse, industrial, transitional, and modern. No wonder it's such a popular destination! Framed Palms Print: this one is HUGE and on clearance right now! If you have a big wall to fill, this piece will certainly do the trick. Yukon Console Table: what you can't tell from a single image is that this table has a live edge - meaning the wood is kind of wavy at the edges and not squared off. It's such a cool, organic look, making it feel unique and special. White Nightstand: this bedside table is a subtle nod to mid-century style with its leg design and the choice of hardware. Take a close look and you'll see what I mean! Zuzu Basket: can one ever have too many baskets? I think not! This one would be perfect for storing throw blankets or as an alternative to a pot for an indoor tree like this faux fiddle leaf fig. Walnut Modular Bench/Storage Unit: I love this collection - it offers so much flexibility to build out a custom entry solution, a banquette, or a media center. There are so many possibilities! Magnolia Wreath: this faux magnolia wreath will look great on a front door year round. You could dress it up for the holidays or keep it simple - it's a really versatile piece. Smoke Quartz Floor Lamp: this otherwise simple floor lamp gets a cool twist with a hunk of quartz inserted into its base, and through October 9th it's on sale! The whole lighting section is up to 30% off right now.